Beat the heat this summer by staying at select Walt Disney World® Resort hotels and saving up to 25%* for stays most nights June 15 – Aug. 14, 2012. These great rates allow you to stay in select Disney Value Resorts, Disney Moderate Resorts, Disney Deluxe Resorts and Disney Deluxe Villa Resorts. For example, with these great summer savings you can enjoy a 6-night, 7-day vacation at Disney’s All-Star Music Resort, including Theme Park tickets, for as low as $69 per person, per day (based on 2 adults, 1 junior and 1 child in a standard room)! 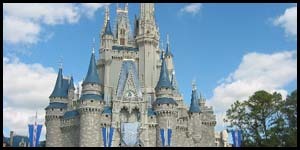 That’s a total package price of $1,914 for stays most nights June 15 – Aug. 4, 2012. Save 25% at Disney’s Yacht & Beach Club Resorts, Disney’s BoardWalk, Disney’s Animal Kingdom Lodge (standard views only), Disney’s Saratoga Springs Resort & Spa, and Disney’s Old Key West Resort.